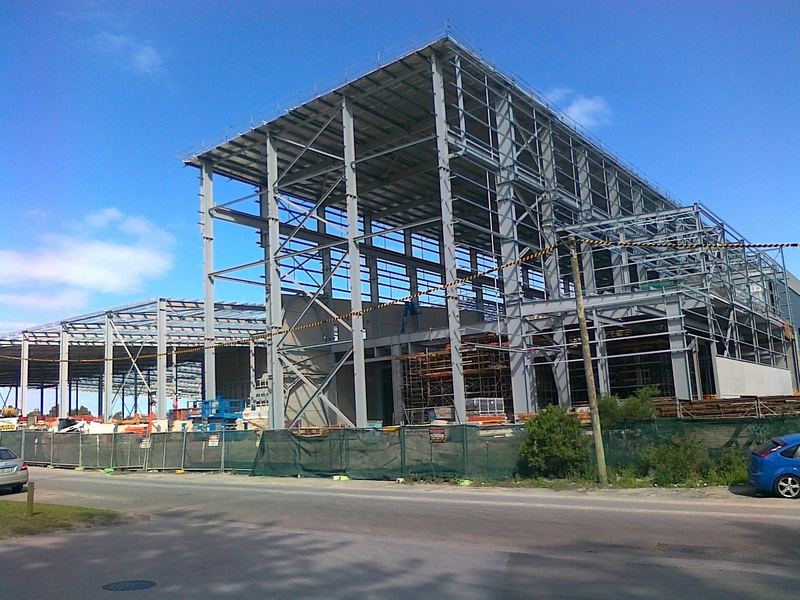 With our expertise and past experience in the field of paper manufacturing plants, we were brought in to provide building design services to help substantially reduce the cost of this large scale industrial project and bring it within the clients budget. This was a large industrial project incorporating multiple elements including a large paper machine building, multi-storey offices, extensive reel storage warehouse and workshop, silo and HD tower foundations, pipe support trusses in and around the building plus a waste paper canopy structure including a 60m span truss supporting large cantilevered roof beams. A project on a grand scale! By changing the design philosophy of the building and its foundations we were able to significantly reduce the cost of the building compared to the original design. We streamlined the design to reduce construction time through the use of prefabricated elements such as hollowcore concrete slabs wherever possible. We maintained critical tolerances for paper machine support structures while reducing the number of concrete piles required to support the building and paper machine by approximately 30%. We helped bring the project back into budget by reducing structural building costs by approximately 25%, a saving of $26 million dollars crucial to the feasibility of the overall project.